Back in January, I was approached by International Space Station Inventory and Stowage Officer, Anna Vitalis. 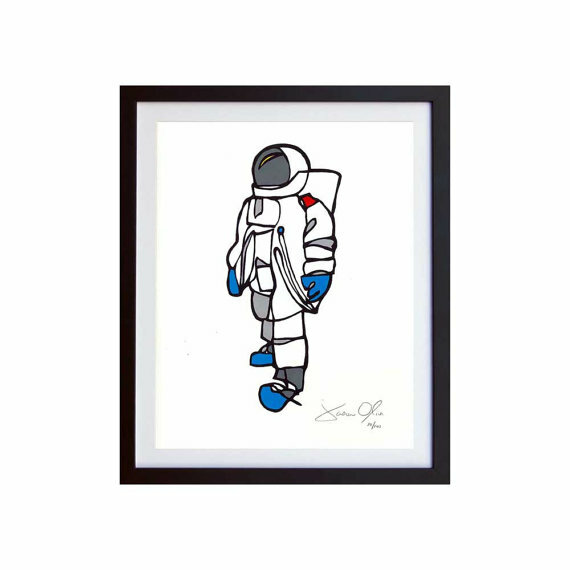 While searching online for a Bon Voyage gift for American Astronaut, Scott Kelly, Anna discovered Jason Oliva Astronaut 2010 Wine. 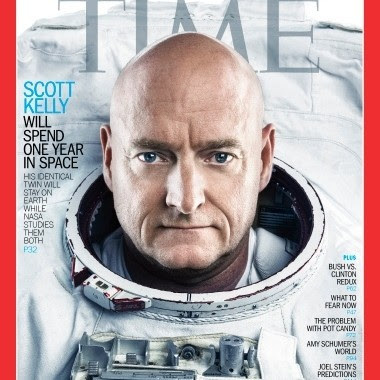 Scott Kelly, (who you may have seen seated next to Michelle Obama during the President’s recent State of the Union Address) and Russian Cosmonaut, Mikhail Korniyneko, will be the first to spend a year in space aboard the International Space Station, during what is classified as Expedition 43. 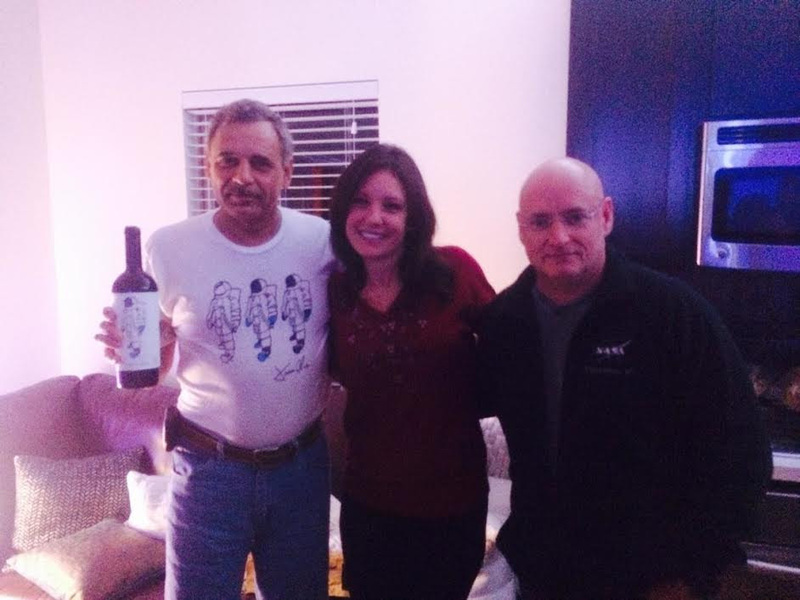 To make a long story short, Anna presented a bottle of the Astronaut wine along with Jason Oliva Astronaut T.Shirts to Scott Kelly, Mikhail Korniyenko and their third launch capsule mate, Cosmonaut Gennady Padalka, at Scott Kelly’s farewell party in Houston. Throughout the evening Anna sent me several text messages and pictures, including the one’s shown here! And as it turned out, Scott, Mikhail and Gennady decided they would drink the bottle of Astronaut wine together, two nights before their launch. 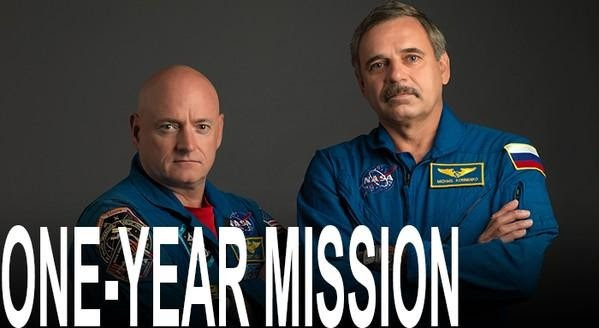 And, even more exciting, they planned to take the Astronaut T.Shirt up into Space to wear during their mission aboard the International Space Station. To be honest, when Anna sent word they planned to drink the wine together I was honored. But later, when she sent message that they had decided to take the T.Shirt with them into Space, I was floored. 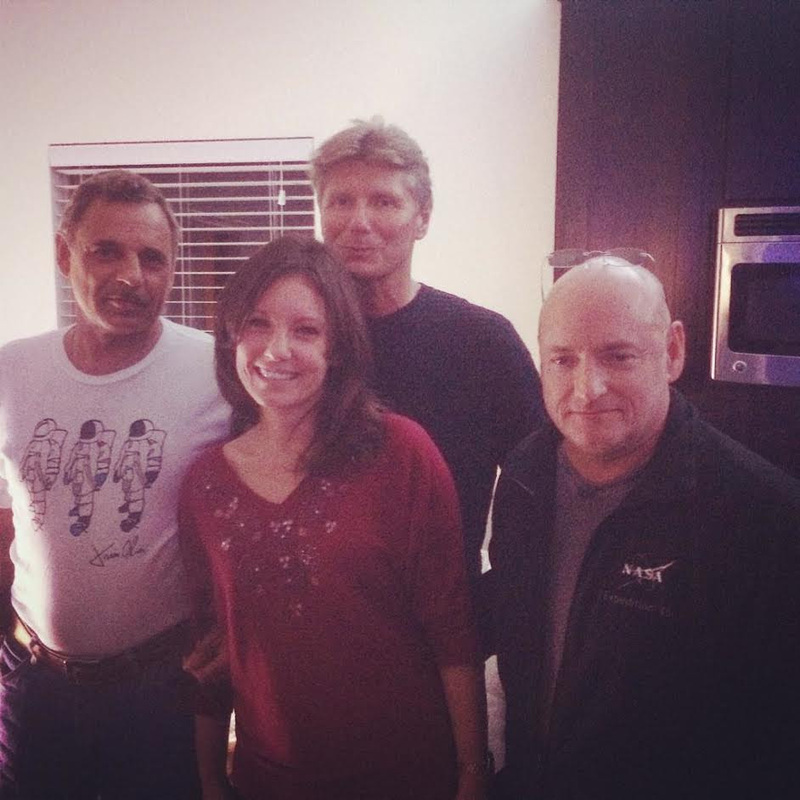 Thanks to everyone who attended the ‘Jason Oliva’s Astronaut T.Shirt Goes To Space Party’. We started early at 3pm, to watch the 3.42pm launch live on NASA TV and partied way beyond the boarding time of … We were also fortunate enough to be joined by Christopher Mason and his lab team who are doing some of the lead genetic work on the ‘Twin Study’. 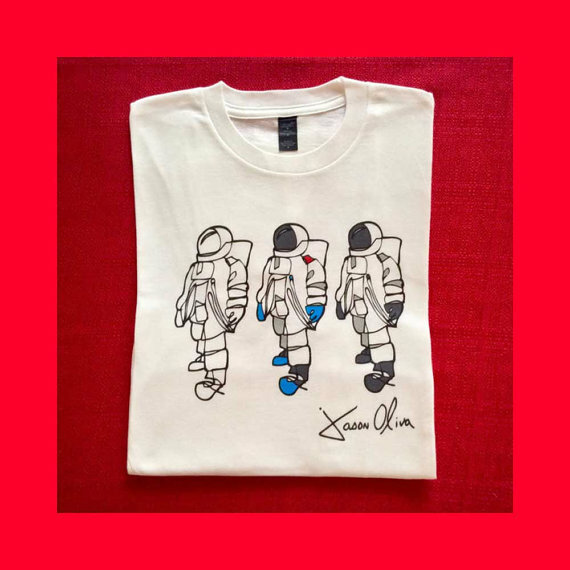 If you would like to fine out more about the Astronaut T.Shirt and the Astronaut Work on Paper, please visit our Online Etsy Store. Astronaut. Small Work on Paper. Edition of 100. We hope to see you all in a year for the coming home party! Next Jason Oliva: Open Studio Thursday May 14th, 2015.